Canadian Prime Minister Justin Trudeau on Friday called US President Donald Trump's plan for tariffs on steel and aluminum imports "absolutely unacceptable" and warned of serious disruption.Trudeau said Trump's plan will have "significant and serious" economic ramifications on both sides of the Canada-US border, Xinhua reported. 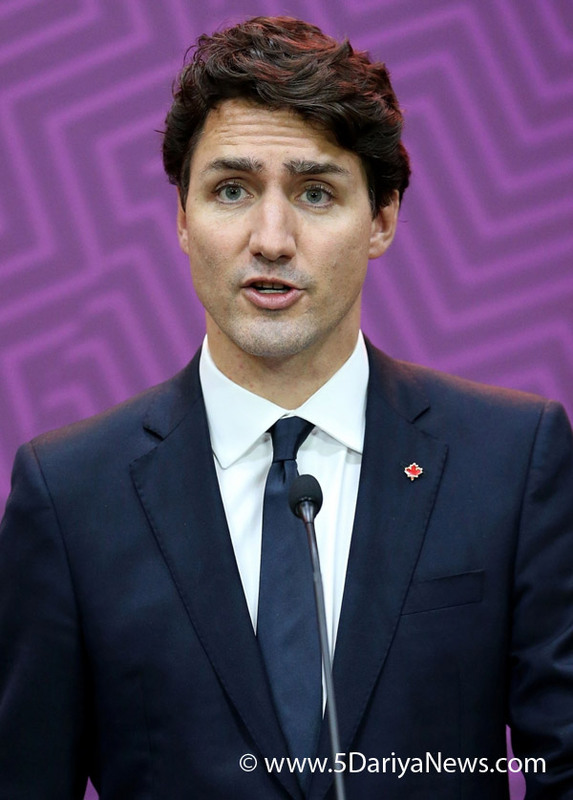 "The US has a two billion Canadian dollars ($1.6 billion) surplus on steel with us, so we regard the imposition of any new tariffs or any tariffs on steel or aluminum between our two countries as absolutely unacceptable," Trudeau was quoted as saying.He stressed that it makes no sense for the US to claim there's a national security imperative for imposing the duties, given the level of security cooperation between the two countries. "The level of cooperation and integration of our militaries, our defence of North America and our working together on a broad range of security issues means that it just makes no sense to highlight that Canada and Canadian steel or aluminum might be a security threat to the United States," he said.Trump's announcement to impose tariffs came as Canada, the US and Mexico continue talks to renegotiate the North American Free Trade Agreement (NAFTA).On Thursday, Trump said that he planned a 25 per cent tariff on steel and a 10 per cent tariff on aluminum that would go into effect next week.Canada is the largest steel exporter to US market, with steel imports from Canada accounting for 16.1 per cent of the US total steel imports in 2017, according to data released by the US Commerce Department.